A powerful body of work that incorporates drawing, painting and video installation through the perceived boundaries of 2D media.Using exploratory techniques to broaden knowledge and deepen the impact of storytelling. Come explore the connection between the personal and the universal as it relates to how we experience the world. The installation evokes the emotional realm between what we experience esoterically and how that same emotion is manifested on a global scale. Conceptually, Ava creates connective space between the landscapes of the external and of the internal. 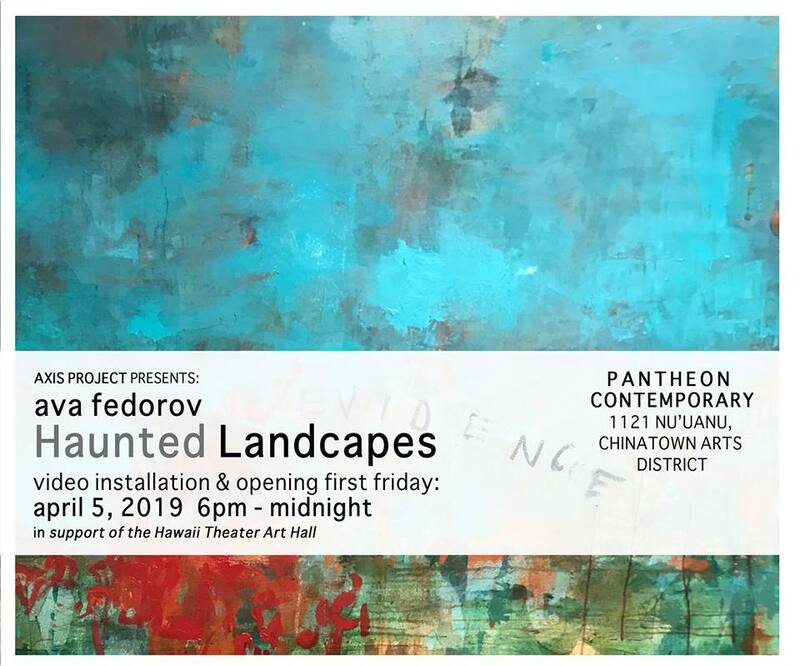 These landscapes are more than mere topographical geographies: they are the overlaid arrangements of non-human and human life, translucent histories, and the physical tracings of space-time. Presented by AXIS Project:A place-based project supporting "glocalized" artistic activation from the roots up. The historic Hawaii Theatre Center is located in one of the oldest Chinatowns in the U.S. Nestled in the heart of Downtown Honolulu, the Theatre has been popular with locals and tourists since 1922 as a place of cultural enrichment and performing arts and was restored through the support of the community in 1996. Four years earlier in 1918, the Pantheon Saloon opened at 1129 Nuuanu, the once oldest continually operating bar in Hawaii. Today, the memory of this once historic saloon where King Kalakaua often entertained guest, the Hawaii Theater Center transformed the space to showcase art. 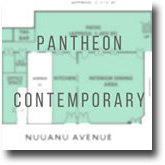 In commemoration of 100 years of Pantheon Saloon, the Theatre adopted the namesake Pantheon Contemporary with the purpose to bring more diverse design mediums and classic practices into the Arts and Culture District of Honolulu.